As Anthony and Rachel Brinkley welcome their third daughter-in-law to the family, they don’t quite realize the profound shift that is about to take place. For different reasons, the Brinkleys' two previous daughters-in-law hadn't been able to resists Rachel's maternal control and Anthony's gentle charm and had settled into their husbands' family without rocking the boat. But Charlotte - very young, very beautiful, and spoiled - has no intention of falling into step with the Brinkleys and wants to establish her own household. When Richie Rossiter, once a famous pianist, dies unexpectedly, Chrissie knows that she must now tell the truth to their three daughters: their parents were never married. Yet there is one more shock to come when Richie's will is read. It seems he never forgot the wife and son he left behind years ago - Margaret, who lives a quiet life of routine and work, and Scott, who never knew his famous father. Now two families are left to confront their losses and each other, and none of them will ever be the same. Set partly in London and partly in America, this story follows the fortunes of a small group of the young and the single. They are the children of '60s swingers. Their lives are blighted by indecision and too many choices with too little time. They were six female friends, different in age and circumstances, but with one common need: the warmth and support of their Friday nights. It was a time to share secrets and fears, triumphs and tragedies and, above all, to feel safe in the company of women friends. But things never stay the same forever, especially when a man is introduced into the mix. She leaned forward, gripping the edge of the bench, and stared at the ground. God, she thought, am I losing my mind? Is this what happens when you lose your job? The day Stacey Grant loses her job feels like the last day of her life. Or, at least, the only life she'd ever known. For who was she if not a City high-flyer, Senior Partner at one of the top private equity firms in London? As Stacey starts to reconcile her old life with the new - one without professional achievements or meetings but instead long days at home with her dog and ailing mother, waiting for her successful husband to come home - she at least has The Girls to fall back on. Beth, Melissa and Gaby. The Girls, now women, had been best friends from the early days of university right through their working lives, and for all the happiness and heartbreaks in between. Well executed performance . However the story is so boring. I like slow moving, mood or artsy novels, but this is just ordinary, and I found it difficult to get through the story. I gave it a chance until chapter 10, but the only redeeming feature was the narrator's interpretation of the characters. I'm not sure if this book is just not very good or if the narration adds to the tedious nature. 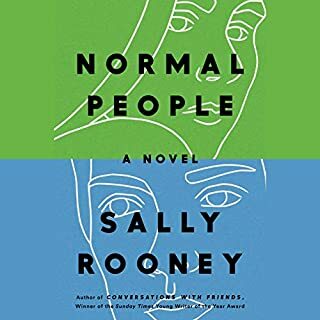 It took me forever to become interested in any of the characters, but now that I am about 2/3 finished listening, I find that none of them are very interesting and the dialogue is just awful. The attention to minutia is just unparalleled. The whole scenario over Melissa and her son and his dating a 13 year old - OMG - it just went on and on. It kind of killed any further interest I may have had. t's just painful to listen to at this point. I love Joanna Trollope, but this is not one of her better efforts. I am a huge Trollope fan, both Anthony and Joanna. She writes with love and grit about family life in Modern England. We care about her people and wish them all the very best. The reader was outstanding and not the sadly to frequent overly dramatic Audible reader. I would recommend this book to anyone who enjoys a grand tale well told. Read it and then anything else Trollopean. Would you consider the audio edition of City of Friends to be better than the print version? Absolutely, Adjoa Andoh has an extraordinary capacity to depict moods and tone of voice and that amplifies the author's wit and wisdom. Andoh also has a stunning command of multiple accents and manners of speaking so that you get a real sense of the age, ethnicity, gender and other aspects of the diversity of the characters in the story. What was one of the most memorable moments of City of Friends? The speech Melissa gave regarding men hitting on women in the workplace and her relaxed, firm refusal to let Will buy her a drink afterward as the glory of that speech was not his to revel in. Well done! Andoh did them all so well. Something about the terseness of Beth was dead on as was the depiction of teenage angst and emerging sagacity in Tom. If you could rename City of Friends, what would you call it? The title is fine. This might be a bit on the nose but might I suggest "World of Friends" for the sequel as they travel to see Beth in Switzerland? I am interested in this author now and my first pick of her other books is "daughters in law" but so far the narration is comparably quite bland. 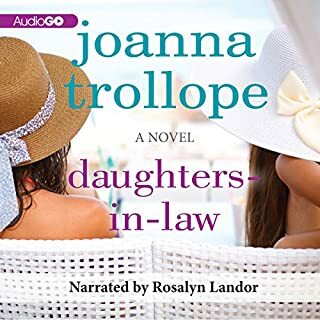 I had eagerly awaited the release of Joanna Trollope's latest audiobook, but sadly and unusually, it was a bit of a let down. Whilst this story was well-narrated and the main four characters easily identifiable, it didn't really go anywhere. 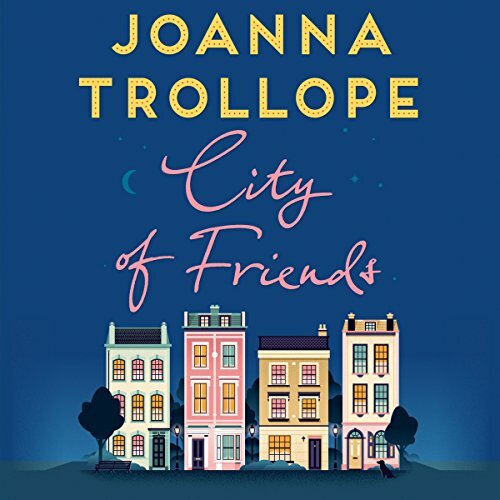 Joanna Trollope books usually fall into the 'unputdownable' category for me, but I just didn't feel I'd lived the story with the characters or that there was a start, middle or (satisfactory) end. Emotions seemed muted, scenarios felt predictable and conclusions never happened. Sorry. I hate to give bad reviews but I hope this gives guidance for potential purchasers of the audiobook. Would you try another book written by Joanna Trollope or narrated by Adjoa Andoh? 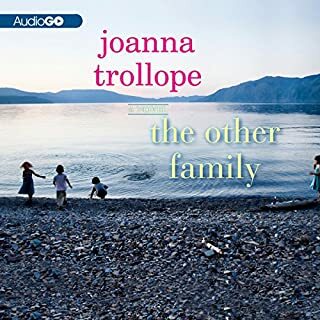 I have read and listened to other Joanna Trollop books and some have been very good, The Best of Friend, The Men and the Girls to name two. I will probably try again in the future. I am not sure if the narrator was to blame, or if this book was just not suited to audible content, there are four friends with four accents and the narrator simply did not get the voices right, Beth was particularly appalling, there is also boring descriptions, people getting ready for bed, painting toe nails etc, all OK it you are reading it yourself, you can speed up, but with a narrator it is simply painfully slow. This is the first time that I have given up without finishing an audible book, there was no terrible secret, nothing worthwhile to either break or bond the women, just dreary everyday stuff. What didn’t you like about Adjoa Andoh’s performance? I really didn't like her Scottish, Welsh and American accents, really poor. Other than that her reading was fine, I think it was just a boring book. Nothing but frustration at such an empty plot. I would say just don't bother with it, not when there are millions of brilliant books out there. What story took almost 10 hours exactly. Can't believe that after all that time I was none the wiser !! Kudos to the narrator for taking on so many characters & doing them so well. A good story with the right balance of wit, humour and a bit of drama. A comfortable story. 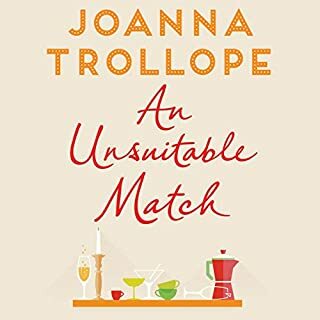 I usually like Joanna Trollope books but this one has none of the insight or humour that many of her books have, and I didn't particularly take to any of the characters. Also found some of the narrators accents irritating. Good book for holiday reading. No real plot or story. Good for reading on the beach - not at all challenging! I usually enjoy Joanna Trollope's books but this one was a bit tame compared to her best. However, it wasn't a complete waste of time and I will continue to look forward to future books by her. Although I was aware of the author’s “light” reputation, I was nonetheless aghast at how dull and predictable a current piece of work an experienced person could write. Nothing happens. It’s “plot” discernible in a glance. Cardboard people talk glib nothings at spaces in front of other cardboard people and nothing is to be gleaned from their combined experience because there is no discernible reality created. Can’t get over just how lacking in rigor or relevance a novel can be. 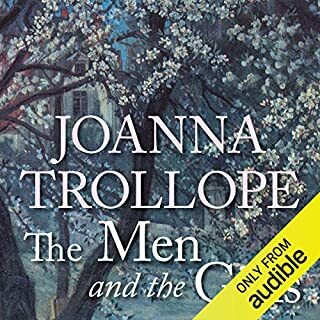 I have always enjoyed Joanna Trollope's books/audio and had no hesitation in ordering this. I have REALLY struggled to identify one character from another, despite the (fairly awful) different accents. The American Welsh accent just got on my nerves! Such a shame - but I really struggled and judging by the other reviews there is no great ending to look forward to, so I may just give up! The ONLY time I have ever been disappointed by JT. I struggled to listen to this. The accents used by the narrator are just terrible, a waste of money.